Let’s talk about stress….how it can make and break your results. Are you someone who trains hard but doesn’t seem to see results? Maybe you’re in the gym 5-6 times a week doing a mixture of cardio, free weights and classes, or maybe just lots of one, but you’re not getting anywhere? Do you feel disheartened with your training, putting in all the hard work but feeling like you’re getting no reward with your strength, fitness or body composition goals? This scenario is all too common for both new and regular gym goers and there is generally one big reason why. You need to balance your body’s stress! The way our body works is that when we begin an exercise regime we are exposing it to new form of stress, good stress. 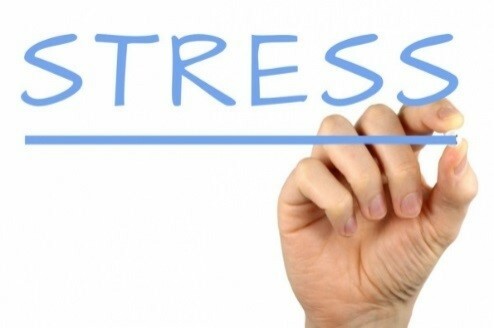 This stress causes physiological changes to our body, and our body responds to these changes to combat this stress and return our body back to resting levels which is known as homeostasis. This process of returning us back to homeostasis takes time, which is why proper recovery is important. 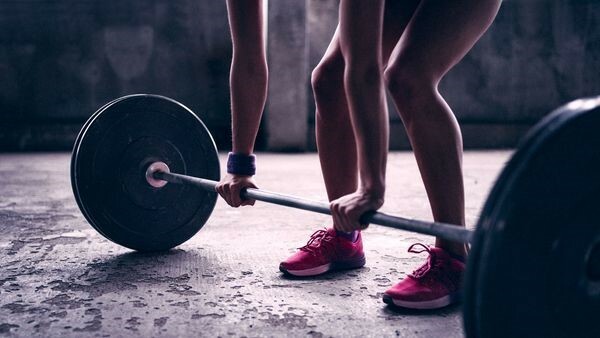 This entire process of training and recovery results in physiological changes such as muscle hypertrophy, increased fitness and improved strength, so that we are ready to take on that same exercise stress again – making us stronger and fitter! Take a look below at the General Adaptation Syndrome graph. This was first described by Hans Selye in the 1930’s as to how the human body restores itself to balance (homeostasis) in response to stress. This has important applications to training and performance! Resistance: also known as adaptation phase, recovery is important here for our bodies to get stronger. Exhaustion: this occurs when long term stress is not removed and is known as overtraining. This can lead to increased risk of injury, fatigue and overall decreased performance. When we stop seeing results in the gym or out on the track, we’ve stopped giving our body a new exercise stress or greater training stimulus to respond to. The human body is very smart and it is always trying to make things easier for us. Therefore if we give it the same exercise stress in the same way, day in and day out it will adapt to this very quickly, making our exercise sessions very achievable. If your goal is to get through a body pump class comfortably or be able to run 5km continuously, then exposing yourself to these things regularly will get you there. But if you want to achieve something more, for example to run 5km in 20 minutes or complete the squat track in body pump with 20kg on your back, then you are going to have to work a little harder and expose yourself to more stress. YOUR BODY WILL ONLY EVER ADAPT TO WHAT IT’S EXPOSED TO- YOU CAN’T BE A GREAT RUNNER IF YOU NEVER RUN, AND YOU CAN’T KEEP GETTING STRONGER IF YOU DON’T LIFT HEAVIER. Alternatively, you may be doing all the right things to increase your exercise stress giving you a greater training stimulus but still not seeing results. You might be lifting heavier, progressing exercises, running faster or further or adding in hills. But if you’re not recovering properly, allowing yourself alternative or lighter training days, sleeping and eating well then you could be having a negative impact on your performance through too much stress or overtraining (more on the importance of recovery in my next blog!). The amount and type of exercise stress we are exposed to is an important factor when building our fitness capacity and improving our performance. Changing your frequency, intensity, type and duration of exercise are all ways to modify exercise stress. Recovery is a crucial part of adapting to the stress you are exposing yourself too, which leads to a stronger, faster and leaner body. Without proper recovery, fatigue and injury can occur due to overtraining. Exposure to varying exercise stressors reduces risk of developing overuse injuries. If you’re still following your exercise program from 2010, want to know more information about training stress or improve your overall performance and start seeing results, contact Sydney West Sports Medicine and book in with one of our Exercise physiologist who can get you back on track again.